Just as you can thank the French for Boston's most famous patriot (Paul Revere, not Tom Brady) you can thank the French for Boston's premier marketplace, Faneuil Hall. The bustling marketplace -- where Samuel Adams (hey, I'm drinking one of those now! ), James Otis and other sons of American liberty gave inspiring speeches -- derives its name from Peter Faneuil. Faneuil was the son of a French Huguenot who fled France after Louis XIV decided that the whole Edict of Nantes thing wasn't such a hot idea anymore. Born in 1700 in New York, Faneuil later moved to Boston where he became a wealthy merchant. Somewhat ironically, Faneuil's nephews, British loyalists, fled the country during the Revolution. Back Bay's Copley Square is named after John Singleton Copley. Copley is, arguably, Boston's most famous artist, who made his mark as a painter of important figures in colonial New England. No need to thank the French for this one: Copley was the son of Richard Copley and Mary Singleton Copley, both of Ireland. Notable stops along Tremont Street include King's Chapel, Boston Common and the Theater District. But before it was one of Boston's main thoroughfares, Tremont was a name for the city itself. Tremont is a variation of "Trimountaine," which means three mountains or three hills. Back in the day, Boston was crowned by three peaks: Sentry Hill (now called Beacon Hill), Cotton Hill (also known as Pemberton Hill) and Mt. Whoredom (also known as Mt. Vernon, and no, I didn't make up the name "Mt. Whoredom"). The reason why no one refers to Boston as Trimountaine anymore? Cotton Hill and Mt. Whoredom were largely removed in order to fill in the water surrounding the Shawmut Peninsula. I pretty much gave this one away. Shawmut Place, Shawmut Street, Shawmut Avenue and Shawmut Center (which was going to be the name of the Fleet Center before Fleet bought out Shawmut Bank), are all references to the Shawmut Peninsula. Shawmut Peninsula was the original patch of land on which settlers built the city of Boston. Check out my post, Filling up the Hub: How Boston got its Shape, for more info. Before there was a Boston, Massachusetts, there was a Boston, England. Boston, England is about 120 miles due north of London and 32 miles southeast of Lincoln. It is believed that the name "Boston" is a shortened version of "St. Botolph's Town." St. Botolph was a 7th-century monk who -- allegedly -- founded an abbey on the present site of Boston, England in 645 A.D. (C.E.). Whether you're longing for the rich, earthy taste of Irish black pudding or for the melodic prattling of an Irish brogue, I suggest you pay a visit to Greenhills Irish Bakery on 780 Adams Street, Dorchester. Let me tell you straightaway that this post is not a paid-advertisement for the bakery... I don't know anybody there, I don't have any long-lost-relatives who work there and I by no means expect to receive a free loaf of soda bread for having written this (although that would be awesome). I'm just a guy who has a constant, uncanny craving for Irish bacon and black pudding. That craving is what led me to the door of the bakery. 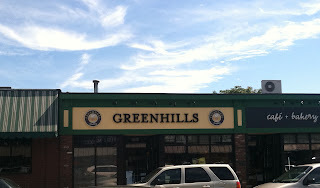 I first heard about Greenhills from everybody's favorite cantankerous TV chef and tour guide, Anthony Bourdain. During his Boston episode of No Reservations (which focused not on "fine-dining establishments," or "what new, young chefs are creating on the cutting edge of Boston cuisine," but rather on the "tough and infamous side of Boston. 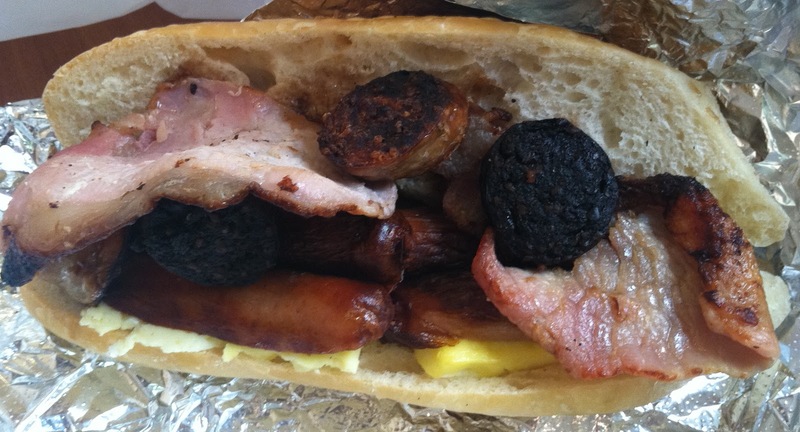 "), Tony strolled into Greenhills for a taste of the bakery's infamous Irish breakfast sandwich. As soon as I saw this sandwich on TV I knew I had to experience one in real life. Let's face it, Irish food is by no means outstandingly delicious (why do you think you only eat corned beef and cabbage once a year?). However, where the Irish culinary world really shines is at the breakfast table. Irish breakfasts are AMAZING. Thick-cut Irish bacon (also known as rashers), black pudding, white pudding, bangers (sausage) and eggs. Throw all of those ingredients into a freshly baked bun, douse them with brown sauce and you are left with the greatest breakfast sandwich in the history of breakfast sandwiches. Seriously, this sandwich makes an Egg McMuffin seem like a Turd McNothin'. 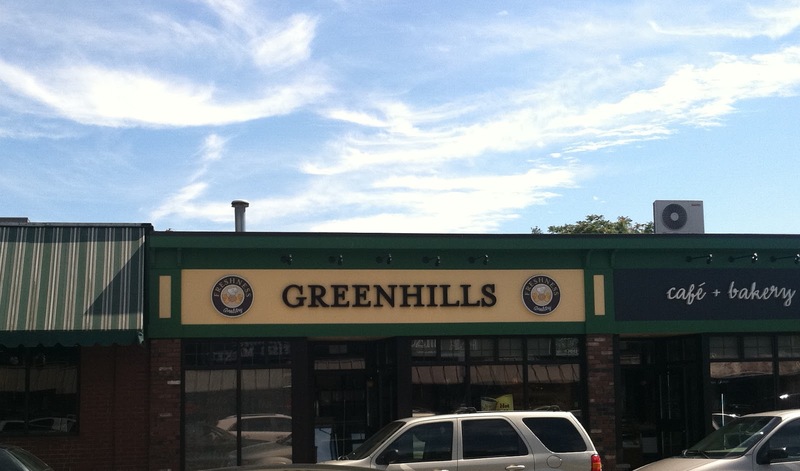 Keep up the good work Greenhills. Sláinte!